When strapped for cash before his next paycheck, Ryo Takezawa would trudge over to the nearest Bookoff, the nation’s largest chain of secondhand bookstores, to sell his novels and CDs. But the buyback rates were meager: The 37-year-old temporary worker was lucky if he was offered ¥100 for a hardback book in near mint condition. A box full of books and albums would get him a few thousand yen at most. Now when he is falling short of resources, he thumbs his smartphone instead and goes on Mercari. Of the 15 items he recently listed on the popular online flea market — volumes of manga, a shoulder bag, DVDs and electric guitar effectors — 13 found buyers who paid a total of ¥50,000. “That’s not bad. Best of all I get to decide on the selling price,” he said. 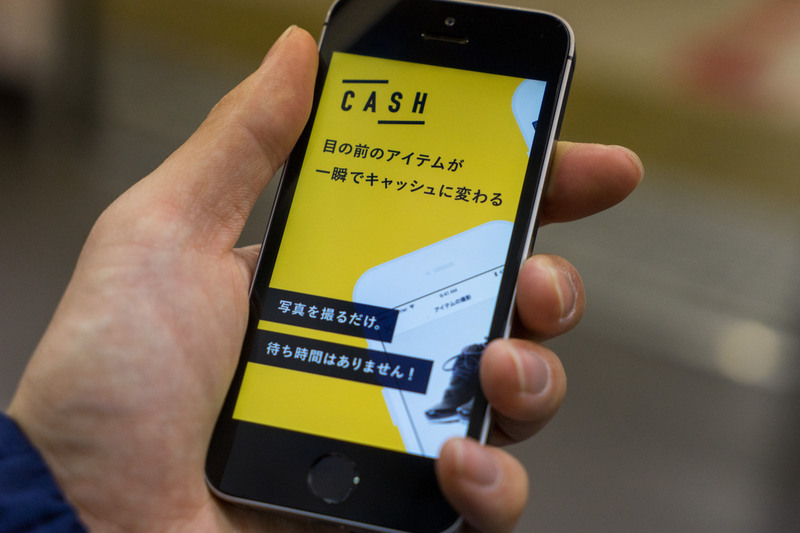 The rapid rise of peer-to-peer mobile marketplaces like Mercari is transforming Japan’s thrift culture and shaking up consumer spending, removing the stigma traditionally attached to buying and selling used goods. The shift in the reuse industry is also posing a major challenge to resale outlets like Bookoff and even more so for smaller operations, forcing them to diversify their business models. “Mercari is a typical example of how distribution channels have expanded while becoming much more personalized,” said technology writer Hitoshi Sato. That change in consumer behavior is especially pronounced among the younger generation, said Taku Sawada, a board member in charge of business promotion at Treasure Factory Co., a major operator of secondhand shops headquartered in Tokyo. When Sawada first began working in the recycle industry nearly two decades ago, people in their 40s and 50s still harbored negative feelings toward used goods. But much of that reluctance appears to have dissipated, he said. The growing options are pressuring brick-and-mortar businesses like Bookoff, which operates 825 shops across the nation and is known as a pioneer in the resale business for upending the shady image traditionally associated with used goods stores with clean, bright interiors and sophisticated customer service. 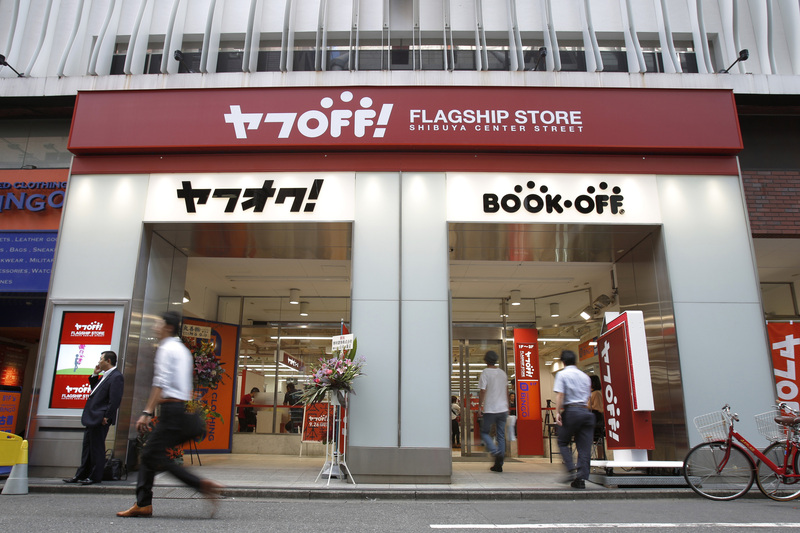 “Many new players are entering the market and the competition is intensifying,” said Bookoff Corp. President Yasutaka Horiuchi at the company’s full-year earnings conference in May that saw it post a net loss of ¥889 million in the year ended March 31. “The emergence of flea market apps like Mercari is leading the growth in the C2C market, and while this is a threat, it has also lowered the resistance toward buying and selling used goods and opens up new opportunities for us,” he said. While Bookoff has its own online service and operates virtual shops on e-commerce platforms including Amazon and Yahoo Auctions, Yahoo Japan Corp.’s internet auction arm, revenue for its online business fell 5.9 percent year-on-year to ¥6.14 billion in the business year that ended in March. The number of stores it operates has also been shrinking over the past decade as the rise of e-books and digital music downloads has weighed on the number of used books and CDs in the market. 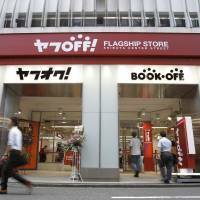 In what may be symbolic of the hardships faced by Bookoff, a large-scale outlet it operated in Shibuya, one of the capital’s busiest shopping neighborhoods, closed its doors Sunday. Meanwhile, Mercari, which was listed on the Tokyo Stock Exchange’s Mothers market in June, boasted a monthly active user base of 10.5 million and gross merchandise volume of ¥32.4 billion in Japan as of March, with its service also available in the United States and the United Kingdom. Last week, Mercari announced that as of July 13 the cumulative total number of products listed on its platform since its launch in 2013 had surpassed 1 billion. And in direct competition with Bookoff, it launched a sister service called Kauru last year specializing in secondhand books, CDs, DVDs and games. Other players are also interested in getting in on the action in the reuse market. E-commerce behemoth Rakuten Inc. operates its own peer-to-peer flea market app called Rakuma, while Cash, a pawn shop app launched last year and now owned by media and technology company DMM.com Group, introduced an innovative new system where the company pays customers in advance before receiving their used goods. Secondhand sales are an expanding business in Japan, with a market worth ¥1.6 trillion in 2015, according to The Reuse Business Journal. More closely, the Yano Research Institute said in June that sales volume in the peer-to-peer market is forecast to reach nearly ¥1 trillion in fiscal 2017, compared with around ¥657 billion in the previous year. The trade ministry estimates that the market size of flea market apps grew by 58 percent to ¥484 billion in 2017 from the year before. Facing headwinds, Bookoff has been opening large-scale outlets called Bookoff Super Bazaar in the suburbs, widening its selection of secondhand products to include clothing, musical instruments and other general merchandise. It has also been expanding its overseas footprint, now operating nine stores in the U.S. and three in Malaysia. Called Jalan Jalan Japan, Bookoff’s Malaysian outlets boast massive floor space and sell anything from used children’s toys and women’s clothing to car seats and shoes. “Most of these products are goods we purchased in Japan and shipped to Malaysia,” said Takaharu Kominato, a Bookoff spokesman, adding that the company plans on accelerating new openings in the Southeast Asian nation. Other resale businesses facing a saturated home market are also looking beyond Japan. Geo Holdings Corp., a major secondhand entertainment, hardware and rental chain store, opened a used clothing warehouse and outlet in Malaysia this month,where it will sell surplus inventory that could not be resold in Japan. Geo said it has been exporting excess used goods accumulated in the 590 or so 2nd Street thrift shops it operates across Japan to countries in Asia, the Middle East and Africa. But among the various destinations, it said Malaysia appears to be an ideal market in terms of its affinity toward used clothing and its position as a regional hub. “We’re also opening conceptual shops in Japan specializing in high-end brands and men’s clothing, for example,” said Wakana Otaki, a spokeswoman for the company. While major players like Bookoff and Geo have the scale and resources to explore new frontiers, mom-and-pop resale stores cannot afford that luxury. 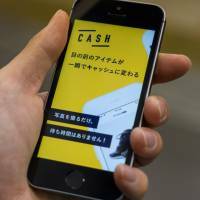 Toru Ishitsuka, store manager for Sai, a used goods shop in Tokyo’s Nakameguro district, said his business has taken a significant hit from the emergence of apps like Mercari. Ishitsuka makes the rounds of warehouses and private homes in his truck to purchase used goods, but products like audiovisual equipment that individuals can easily package and send to online buyers have become noticeably scarce.